We've heard mumblings about HTC's 'Aero' handset for a quite some time, and now it appears we know the official name for the upcoming flagship. According to prolific leakster @evleaks, it's actually called the HTC One A9. We always knew the 'Aero' alias was a codename, and from the look of the branding that he's tweeted, we're inclined to believe he's got this one right. From what we've heard previously, the One A9 will be one of the world's first devices to be powered by the deca-core (that's 10 cores) MediaTek Helio X20 processor. Let that sink in. On top of that, it's been rumoured to feature a Quad HD (1440 x 2560 pixels) display, 4GB of RAM as well as a beefy rear camera that captures images in the RAW format. That last bit sounds great, but let's just hope the One A9 has enough storage space to hold them, otherwise it may prove an issue. Whatever the spec sheet, we're just hoping it'll have the design to match. While we had a lot of love for the One M9 (it got 4/5 stars in our hands-on review), we felt that its design was too similar to the previous One M8 and One M7. 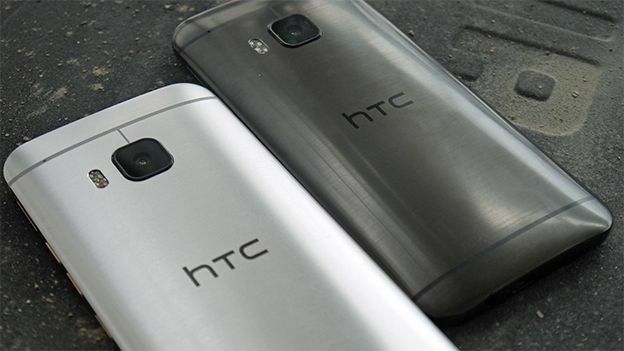 Maybe HTC will break the mould with the One A9? We hope so. It will need to offer something new as it faces stiff competition from the newly launched Samsung Galaxy S6 Edge+ as well as Apple's upcoming iPhone 6S and Google's new Nexus. What would you like to see from the One A9? Let us know in the comments below or drop us a line on Facebook.